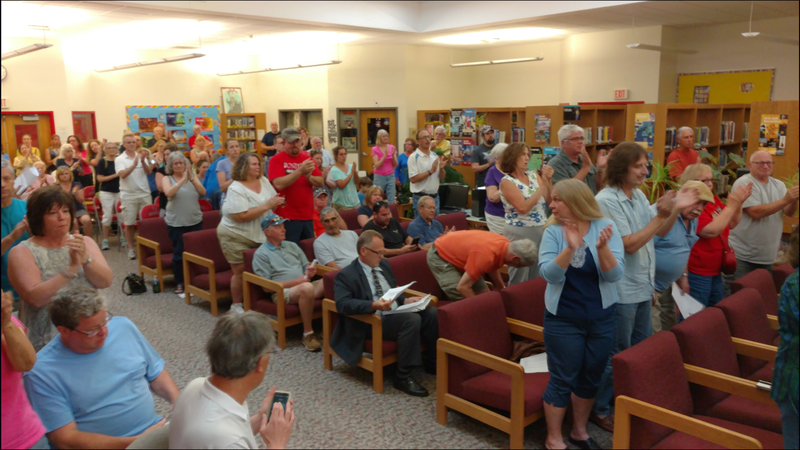 BillHustonBlog: Chenango Valley Board of Ed. Fights Back against #BombTrucks!! Chenango Valley Board of Ed. Fights Back against #BombTrucks!! 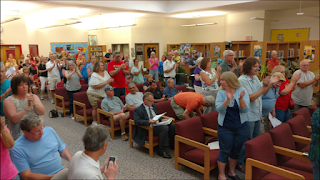 150 community members came out to to witness and give comments, as the Chenango Valley Board of Education voted 8-0 (w/ one abstention) to approve hiring of outside counsel to pursue an Art 78 challenge of the Town of Fenton Planning Board decision to approve new NG Advantage #BombTrucks facility. Related: Susquehanna County Planning Commission is holding a special meeting on the Forest Lake XNG BombTrucks facility TOMORROW! Tue June 13 at 7pm. We are hearing this is going to be a hot one... Attend if you can! The Susquehanna County Planning Commission will hold a special meeting at 7 p.m. on Tuesday, June 13, at the County Office Building in the downstairs conference room, to discuss and consider action on the XNG Natural Gas industrial development, Forest Lake Township.